Need Dry Hire for Your Event? Energy Rentals has fast become the number one choice when it comes to power dry hire with a large selection of lighting, generators, cables; even distro dry hire has never been easier. Operating from our base on the London Essex border we are well place to supply dry hire distro and power equipment to customers In London, Essex, Kent, Surrey, Oxfordshire and Hertfordshire and well as to customers across the UK with fast next day delivery service. Contact Energy Rentals to discuss your dry hire requirements today! 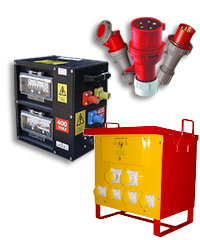 So why choose Energy Rentals when it comes to choosing your power dry hire and distro dry hire company? We have many years experience in supplying power and distro equipment to many industries and over the years we have built a clear understanding of what works both in theory and in practice. Working at the highest level for some of the biggest projects and productions in the country. So, whatever your requirements, Call one of our team today.